Pantech has recently launched a new cell phone which is called as SKY IM-U585S Therapy phone. The phone has been designed with color therapy module which can affects the user’s mood in a positive manner, such as happiness. The keyboard of the phone has been improved with 28 LEDs for deliver ‘color therapy’ to change the user mood. The phone is featured with a 2.9-inch display with 240 x 400 resolutions. The Therapy phone is also equipped with two cameras with a 3-megapixel camera at rear and front camera for video calls. It boasts with a music player which supports common files format such as MP3, supports infrared and motion sensor. For connectivity wise, it is compatible with GSM and UMTS/HSDPA 7.2 Mbps. Additionally , it also has built-in a microSD card slot and comes with 158MB of internal memory. 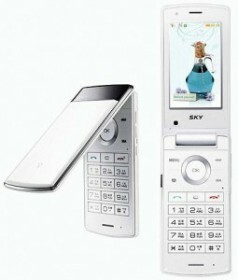 Available in while and black, the SKY IM-U585S Therapy phone is expected to be available in Korea via SK Telecom. However, the price of the phone is not yet announced.